I get restaurant recommendations all the time, but when two people raved about Brindisa on the same day I decided it must be worth a visit. It took me a little while to sort out but I’m glad I did. 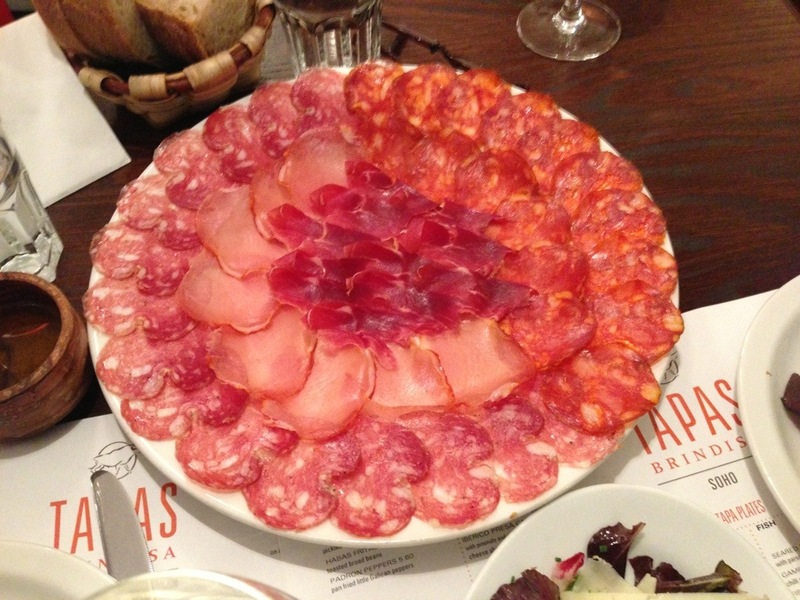 Most people’s experience of tapas will be somewhere like La Tasca. There’s nothing wrong with the reasonably priced chain, but if your meal is going to feature little ingredient centric dishes then the quality really needs to shine. Brindisa have a speciality shop in Borough Market as well as several restaurant outlets around London. 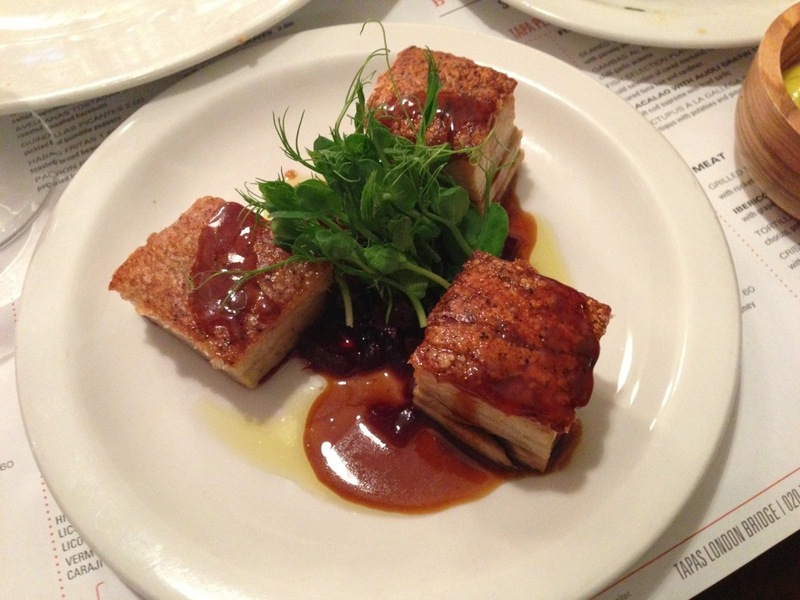 They offer a range of dishes with carefully sourced produce and clever combinations. Their Soho branch is intimate with lots of little tables scattered around the maze-like layout. Service was friendly and, on a Sunday evening, we didn’t have to wait. I normally order something like a Rioja with tapas, but at a friend’s urging I branched out to a Verdejo. It’s a delicious fruity white grape that could stand up to the meat dishes and worked beautifully with the fish. On a hot summers evening it was delightfully refreshing. 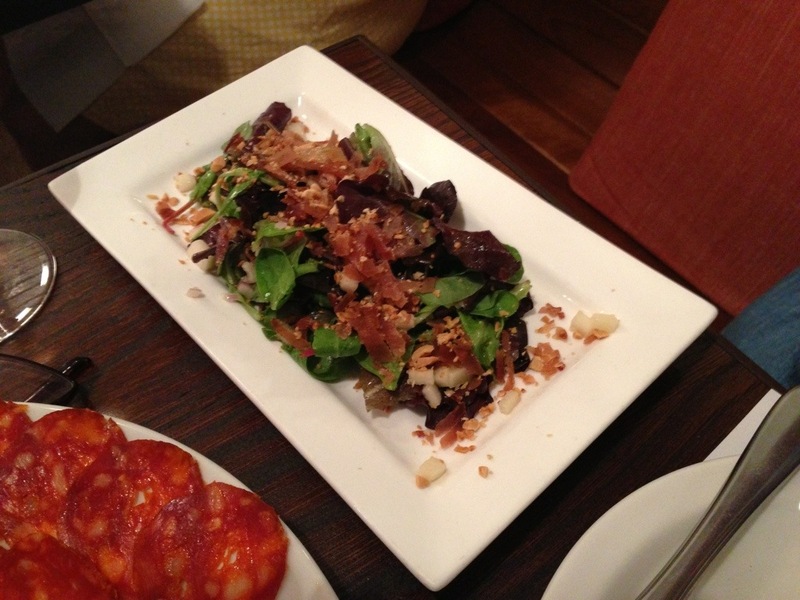 We got through a pretty broad range of dishes – the charcuterie was nice, the salads provided a lovely fresh element but could have done with more of their headline ingredients. The real stand outs were the pork belly and the scallops. The pork was beautifully crisp and very neatly presented, I like the beetroot which adds a sweet element, though a touch of acidity would have been nice. 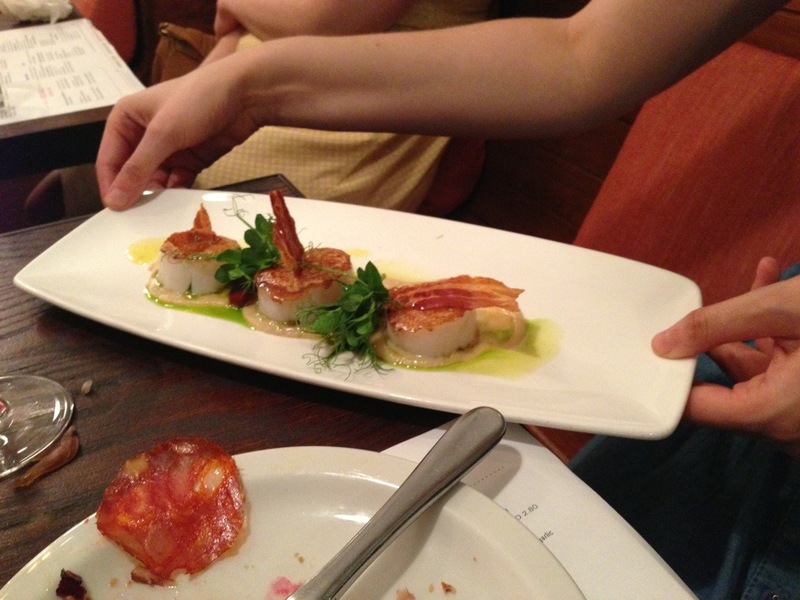 The scallops were perfectly cooked, sweet, still slightly raw in the middle and full of delicate salty flavour. The pancetta adds a great textural contrast and the cauliflower puree works well. 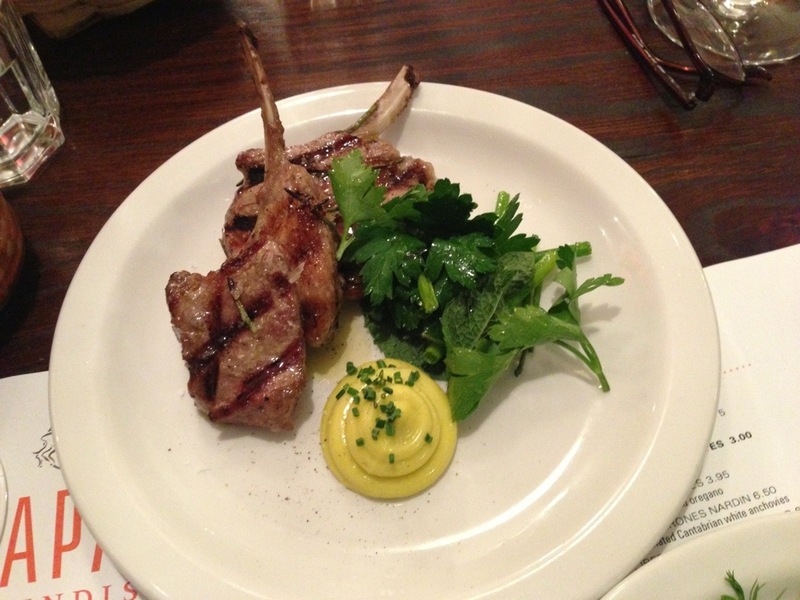 The lamb cutlets were really nice – they’d cooked them hot enough to give a smokey note without taking it past medium-rare. 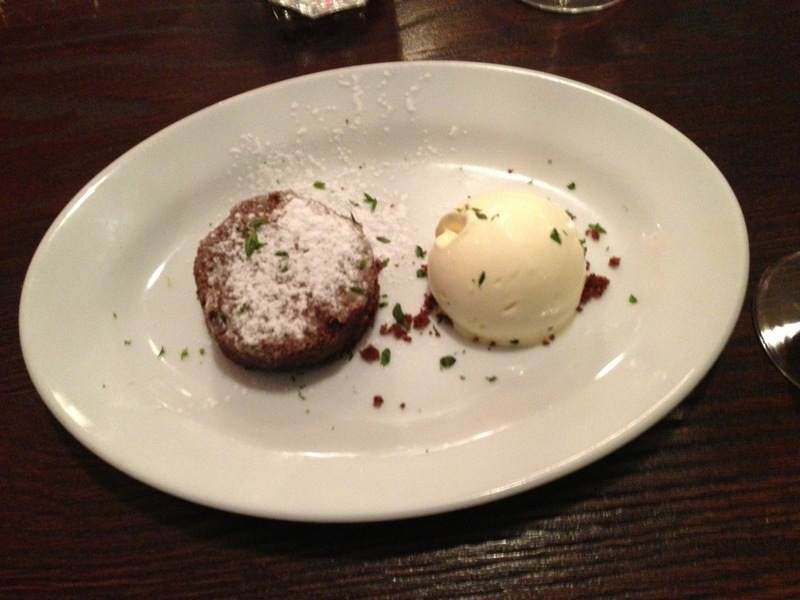 For dessert I went with the Spanish chocolate cake with lemon-thyme ice-cream. The cake was perfectly nice (if a little small) and the ice cream was pretty good, but the bit I enjoyed the most was the excellent Valdespino PX Sherry they recommended with it. What’s not to like about alcoholic, liquid Christmas pudding?! I’m getting a bottle as soon as possible. 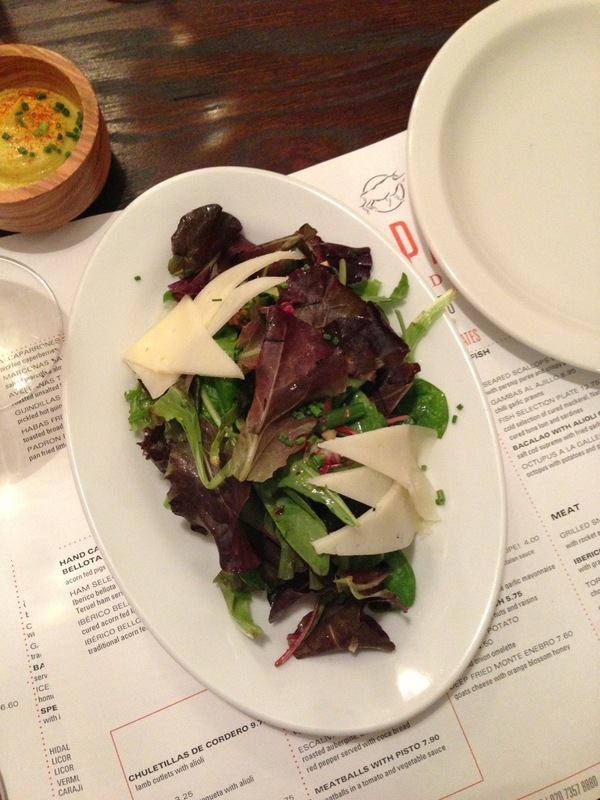 Brindisa offers something a little more authentic and interesting than La Tasca, they have a great range of dishes which are designed to be shared. Grab a few friends (even a few vegetarians if you have to) and start working your way through the menu.